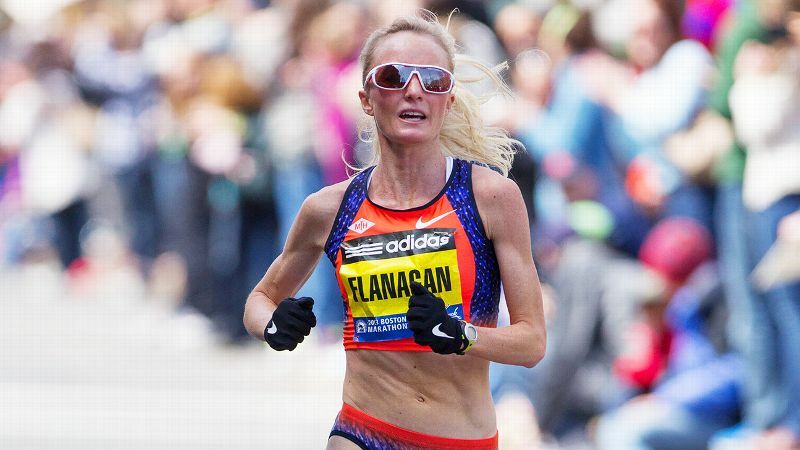 Olympic medalist and elite marathoner Shalane Flanagan is adding cookbook author to her resume. The relationship between a runner and her food can be a delicate one. So much thought goes into what we eat, when we eat, and how the foods we've consumed will impact our overall performance. And real talk? Some honest runners even 'fess up to hitting the road so that they can eat the richer, sweeter things in life. (We at espnW can neither confirm nor deny if we're in that group.) So upon hearing about Olympic medalist and elite marathoner Shalane Flanagan co-writing a new cookbook, "Run Fast Eat Slow" (due out September 2016 from Rodale), of course we were immediately ready to receive whatever healthy wisdom she's serving. 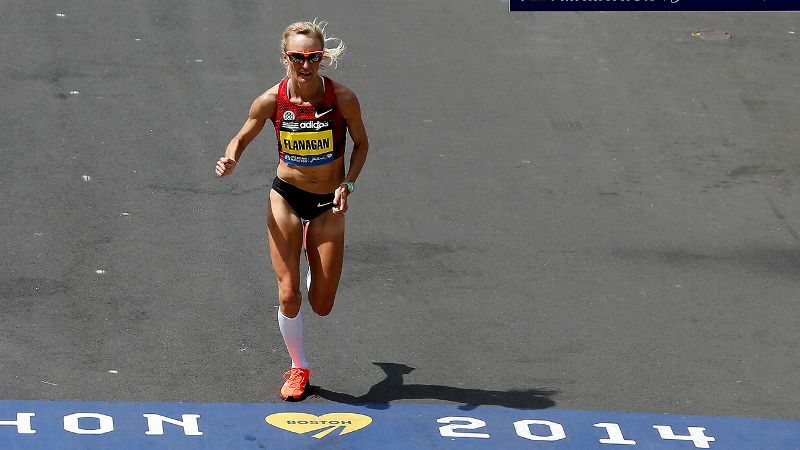 Shalane Flanagan, America's top distance runner, finished seventh in last year's Boston Marathon and fourth in 2013. 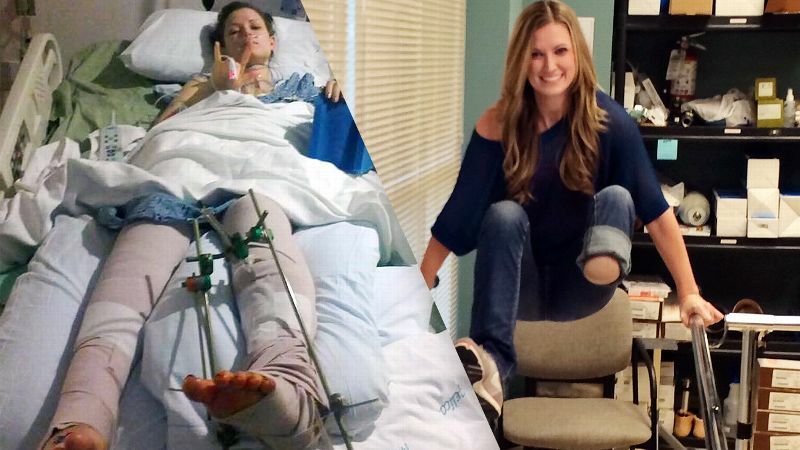 She's aiming for the podium in 2015 and isn't afraid to say so. Flanagan took a break from prepping for the 2015 Boston Marathon to chat with us about whole foods, healthy fats and good eats. espnW: Why this cookbook, and why now? Shalane Flanagan: This book is a collaboration with my longtime friend of 14 years, Elyse Kopecky. We were roommates and track teammates at [UNC Chapel Hill]. After college, we went our separate ways. When she moved to Europe she got really inspired by food, health and nutrition and ended up going to The Natural Gourmet Institute in New York. For me, running over 100 miles a week, food and fueling has become a focal point in my training. I started researching how I could aid my performance through nutrition. Runners are typically super healthy and always want to improve their performance and health. But I also think it's a society of quick fixes, with a lot of bars and not a lot of whole foods. They're just looking for whatever is easiest and fast. I'm specifically interested in young female athletes, making sure they're getting the nutrition they need. I witnessed a lot of disordered eating in the NCAA system and felt like this could be a great avenue for modeling how to eat well and stay healthy and injury-free -- which I've been for my entire career. That's really rare. espnW: How does your cookbook differ from all the other running cookbooks? SF: There's no calorie counting. That's a key area where we're differentiating ourselves. It's not about losing weight. It's about being the best athlete you can be, about really enjoying your food and letting it enhance your life. espnW: Are the recipes in the book good for everyone, not just athletes and runners putting in 100 miles a week? "Plan ahead, create a routine and eat seasonally and locally so you can get the freshest food possible," Flanagan lists as her best tips for maintaining nutrition on a busy schedule. SF: Absolutely. A lot of the recipes are family friendly. Every ingredient has a purpose behind it. We want people to get excited to get in the kitchen and cook our recipes. espnW: How do you come up with the recipes? SF: There are a lot of factors. Elyse brings more of the nutrition background. She can explain the reason behind the ingredients. I bring the athlete perspective. I'll come to her and say, "I'm really craving more salty-type foods when I train really hard," and we'll build a recipe with that in mind, but also thinking about repairing muscles. We want to make sure that people like the recipes. We don't want them to taste like cardboard! I work hard, I push my body while training and I want to come home and make a meal that's mouth-watering. I don't want to be throwing down a boring salad every night or munching on celery. That's not fun. I want to reward myself with great, fun meals. espnW: I've read about your adding more fat -- whole milk, cheese, grass-fed beef -- to your diet. How has the added fat affected your performance, endurance and overall health? SF: I was in the same boat with a lot of other runners with the low-fat trend. When Elyse went to culinary school and her living in Switzerland -- where the foods are not low-fat -- she noticed that she felt a lot healthier when she incorporated more healthy fats in her diet. She cured her own athletic amenorrhea by changing her diet this way. I noticed that I'm not consuming as much sugar because of the added good fats in my diet. Those healthy fats are a healing agent and help me absorb the nutrients I'm consuming. Overall, I feel more satisfied; I don't have these massive cravings anymore. For me, I noticed that I'm not consuming as much sugar because of the added good fats in my diet. Those healthy fats are a healing agent and help me absorb the nutrients I'm consuming. Overall, I feel more satisfied; I don't have these massive cravings anymore. espnW: I also read that you're no longer counting calories, but rather eating intuitively. What does that mean in the day-to-day? SF: I eat very minimally processed foods. That leaves me with a lot of fruits, vegetables and whole grains. When people count calories and have all these restrictions, they end up cracking and just tearing through a bag of potato chips. Instead of counting calories, we're encouraging people to listen to their bodies to help them make smarter food choices. espnW: When you're training, what's on the average day's menu? SF: Every day is different. Typically I start the day off with a big bowl of oatmeal -- that's my favorite -- with tons of fruit and raisins in it, and one or two cups of coffee with creamer to get me going. Then I head off to training, so I'll usually just do water or coconut water. Post-workout, I'm usually really thirsty, so I'll make a smoothie. One of my favorite is beet. It sounds gross, but we have a great one that has ginger and blueberries. It's just delicious. Lunch might be our kale, radicchio, walnut salad -- it's ridiculous. Sunday nights I just cook up a ton of food so I have it ready for the rest of the week. I'll have some quinoa or a bunch of veggies already roasted, and I love to roast a big chicken and have that on hand. Later in the day before my second training session, I'll have one of our homemade bars. (Runners do love bars!) It has apricots, dates, nuts and a little bit of coffee. I like snacking on apricots, nuts and fruits throughout the day. For dinner, it's whatever my husband and I are craving. We tend to cook a lot of salmon. Another favorite is a pear and fennel salad that goes well with fish. We also have a great salmon cakes recipe in the book. We basically like to eat whatever is in season. espnW: If you could, boil it down to three or four top tips for maintaining nutrition on a busy schedule (like a mother runner or athlete in training). Cooking -- and eating -- fuel Flanagan's passions outside of racing. SF: Plan ahead, create a routine and eat seasonally and locally so you can get the freshest food possible. espnW: Are there desserts in the book, too? SF: Yes! One of my favorite dessert recipes that we created is inspired from my competition from Ethiopia. We use Ethiopian teff -- this amazing, nutrient-dense grain -- to make these really delicious peanut-butter chocolate-chip teff cookies. If I make a batch of these cookies, they're gone in like two days! We have about 12 what we call "wholesome treats" in the book that are all free of refined sugars. We use maple syrup or honey instead; you wouldn't even know that sugar's not there. espnW: What are you thinking as you head into the Boston Marathon? SF: This is the fun part. I get to showcase all the hard work. And I always love coming home. 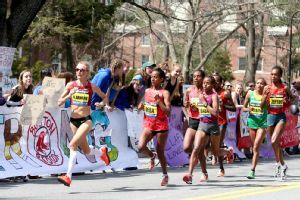 Boston has assembled the fastest women's field ever: 10 women who run under 2:23.
espnW: When you're not in training, beyond resting, what do you do for self-care? Cooking has become a genuine passion of mine. It's very therapeutic. And I usually plan a little vacation after a big race. So a little bit of adventure and lots of eating! I'm looking forward to it.